Our forests are important, and it’s our duty to make sure that they are not destroyed. Below we are providing few essay on save forest which very general topic your child may get in their school essay competition. So enhance the knowledge of your kid on how important these forests are. Why it is needed to protect forests? Forests! It give us more than half oxygen for breathing and without oxygen, we couldn’t survive. So next time think twice before wasting paper. A forest does not mean just trees, but it’s an entire complex or a living community. Many interdependent species of plants and animals lives beneath the forest canopy, the forest soil is a home to large variety of bacteria and fungi, which play an essential role in nutrients in the soil and the forest. The cutting of trees is creating many problems in the surroundings, and it is important that everyone become actively involved in protecting forests. The survival of the rich generation of flora and fauna has come under threat as a result of exploitation of forests. Deforestation results in loosening of soil and the upper layer of fertile earth is eroding, which is resulting in uncontrolled flooding when it rains. In addition, erosion is seriously effecting agricultural production. Forests have its great importance in human’s life. We would reduce the cutting of trees to least. If we are building a house we will make sure to use the least amount of wood. Like instead of using wood for the frames of new houses, use metal frames. A tree is beautiful, it has a right to life; like water, sun and stars and it is important part of human life. Life on earth is inconceivable without trees. So be careful and save forests. Forests are very important to the environment because they consume carbon dioxide and produce oxygen. They also give shelter and food to various plants and animals. Forests are fundamental to humanity. They give us wood, raw materials, increase underground water supply and humidity of air, prevent floods and soil erosion, and offer a shelter to the wildlife, control air pollution. On a high sunny day a large elm tree gives off vapor equal to 1500 gallons of water. According to a UN report, rain forests are destroyed to a large extent. Man has cutting off trees without paying any attention to the destruction he is causing to his own life. Hillsides have stripped off its vegetation cover in the Himalayas that are major reasons for the avalanches, earthquakes and landslides. Deforestation not only affect the natural beauty of earth but also affect the ecological balance. Trees have been cutting down for many personal reasons but the main reasons are to make space to build new houses, buildings, malls etc. Forest are also been cutting to clear land to grow grass for cows and sheep to eat, to produce dairy foods. The trees which are falling down are used in making paper and furniture. Cutting down trees can have serious effect. If the shelter of animals gets destroyed, many species will become extinct. Deforestation also affects the climate. When rain falls on forest, new clouds formed but when large areas of trees will fall down, clouds will not form, rain does not fall and the land becomes drier. The CO2 will increase in atmosphere and adds to the global warming which is making the Earth hotter. So we can save our earth by planting trees faster than they are cutting down. We can help to save forests by reusing and recycling paper. So far as human knowledge life exists only on this planet. So It is our duty to take of earth and forests plays a very important role in a developing country like India that has a burden of enormous population pressure, poverty, water and air pollution and still trying to carry out ambitious development project needs no elaboration. But we are continuously exploiting our natural resources like forest. The consequences of such reckless use of trees and other natural resources would be disastrous. Over the past decade, more and more attention must paid, all over the world, to forests, on which human life depends and the maintenance of forest is now increasingly being considered as essential for humanity. 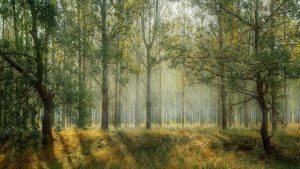 What forests are actually means? Are they just large areas of land covered with trees? No, a forest is much more than just trees. It also includes smaller under growing plants like mosses, shrubs, bushes and flowers as well as it includes many kinds of birds, insects and other animals, who make their homes in the forests. Forests always play an importance role human beings survival. Prehistoric people found their food mainly in forest by hunting animals and by gathering wild fruits. With the development of civilization, people settled in towns and cities. But they still went to the forests in search of timber and to hunt. And still, people depend on forests for their economic value, their environmental value and the valued culture and recreation. Forests are the main source of many useful products such as wood, gum, various fats, oils etc. In some tribal society, forest plants and animals are food for some people. We cannot deny them of their food. The structure of a forest has a display on its access on noise effect. If a 50 m wide park can reduce the traffic noise by 20 to 30 decibel. Forests thus provide indirect protection against noise. 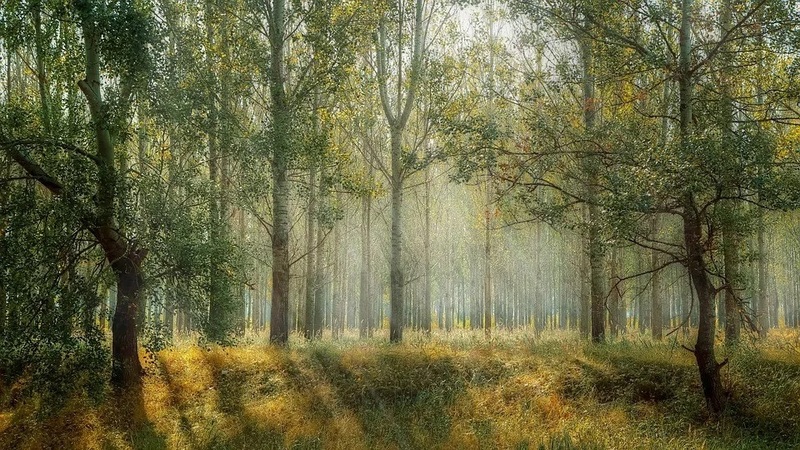 A large area of a forest having broad-leafed trees can collect about 30 to 50 tons of dust, thus, forests protect us from noise as well as air pollution. As long as forests exist, people can use forest products. Forests also regulate the climate directly. They are home to many plants and animals that can live nowhere else. By eliminating these forests, we are not only destroying our future, but theirs as well. Today, large numbers of forests are being destroyed because of logging activities, industrial pollution and for human’s selfish needs. Continuous destruction of forest is often a symptom of social unrest. Large numbers of poor landless families move into the forests and cut the trees and use land for growing crops. In the commercial timber industry, trees are also fallen down for export. Today there is a need to generate a massive public awareness and concern to save our forests. we must reduce the use of wood to an absolute minimum. By saving forest we can give a better future to our coming generation.